We will fight for peace, but we will do no violence. Loving Bin Laden – What Does Jesus Expect Us To Do? “Do you mind if we blindfold you?” the Hezbollah fighter asked nonchalantly. “If I have a choice, I’d prefer not, but I’m guessing it’s your call,” I replied with a (nervous) smile. For some reason, they simply chose to make me change cars (all black Mercedes) several times on the way to meet with the #2 man in the Lebanese Shi’ite organization. My two Lebanese Muslim friends and I waited in the hallway of the dark building for about five minutes before someone walked through the door and said “Follow me.” We did, and found ourselves in a room adorned with yellow-and-black Hezbollah flags and big, soft armchairs. And we waited. It was at this moment when it hit me what we were doing. We were meeting with an enemy of my country. Probably illegal – I think I had forgotten to check that little detail. (I’m not much for details.) We were surrounded by men with AK-47 machine guns, in an unfamiliar city, in an unknown building, meeting a man I’d never seen, who didn’t know why I was there. Other than that – all was good. But as soon as our host walked in, I remembered why I was there. He broke into a huge smile as he clasped my hand with both of his and said, “Ahlan WaSahlan” (Welcome). “I’ve heard so much about you,” he continued. Hmmmm? “Heard what, exactly?” I wondered. It never became clear why he agreed to meet me. Curiosity? To let the West know that the Hezbollah aren’t such bad guys after all? To win me to his point of view – either to Islam or his politics? Not sure. But I decided then and there that I didn’t care and really couldn’t care – otherwise I wouldn’t have come. I knew why I was there: to visibly share the love of Christ with an enemy. But was he actually my enemy? Did he personally want to harm me? I doubt it. Yet by most definitions he was the enemy of my people, Americans. Maybe even the enemy of Christians. And for sure the enemy of the Israelis. But how could I follow the life and teachings of Jesus of Nazareth to love my enemies if I never met any? So here I was, on a quest to follow Christ. It wasn’t about doing something with or to Muslims. It was about following Jesus. That day a friendship began. It was a cautious friendship – on both sides. We were equally skeptical of the other’s agenda. But over the years we have become friends. He’s still a Muslim, still the leader of the Hezbollah in all of south Lebanon, still at war with Israel. But he has now received prayer a thousand times, often by the laying on of hands by my Christian pastor friends I take to see him. He has now read the New Testament. We talk often and deeply about the gospel, about big international issues, about the small hidden things of our hearts. He is my friend! It’s one thing to ask Western Christians to follow Jesus and point out that one of the things he clearly said, and taught, was to love our enemies. It’s another thing altogether to make that teaching specific with an actual enemy. Like Bin Laden. The question is a good one: what do we do with our actual, physical enemies (rather than our theoretical enemies), people who might want to kill us if they had the chance? We’re not talking about an ideology or a religion, but a real person, like Bin Laden. 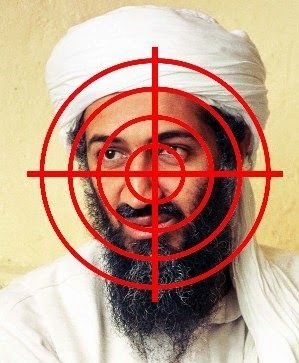 What do we do with Bin Laden? There are three biblical ideas that can help us think clearly about how to treat an actual, literal enemy. Joshua 5:13-14 is the story of the angel who appears to Joshua right before he takes Jericho. Whose side is the angel on? Neither. He is the Commander of the Lord’s army. Understanding that God is on His own side is a great place to start when we think about our enemies. God is neither “for” or “against” America. He is hoping we are on His side, but He’s not on ours. In Luke 6:35 Jesus states, “Love your enemies and do good to them.” Pretty clear. The idea of “doing good” to our enemies is a powerful one. 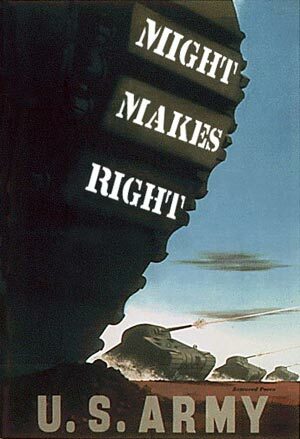 It really “works” to do good to our enemies – as a strategy for overcoming their agenda. In Romans 12:21 the apostle Paul says, “Do not be overcome by evil, but overcome evil with good.” This is a rarely-followed biblical truth – to overcome evil by doing good to the one who is evil. We more naturally think of running from evil – a good strategy at times – but not necessarily fighting evil with the frontal assault of goodness! I believe that this topic is critical for our age. I doubt that we (“Christians”) have more enemies now than at other times in history, but because of the “flatness” of a globalized world, we simply know about our enemies more than ever before. We see them on the news every day. We are reminded of them several times a day through various sources. So if there was ever an opportunity to fear the enemy, it’s now. Most Christians are left with only two choices, both political: the more “conservative” route of building a strong military case against our enemies, or the more “liberal” route of favoring diplomacy. (Both are generalizations, of course). But isn’t there a third way that’s actually more powerful, more pragmatic and therefore more effective? How about the way of Jesus? It’s not passive, not wimpy, but instead an incredibly compelling method that moves beyond mere dialogue to actual solutions. But because politicians, and believers of all stripes, don’t think this way of Jesus is very useful, it’s simply ignored. One of the most interesting aspects of the trip that Ted Dekker and I took was our question to the leaders of the Hezbollah, to Hamas, and to the Bin Laden brothers – what was Jesus’ most famous teaching? Most of them said, “To love your enemies.” We’d then ask the “Dr. Phil” question, “So how’s that goin’ for ya?” To which they’d respond, “Not very well because it’s not practical.” I assured them that unfortunately most of my American friends thought the same. So basically, few of us really believe that “doing good to our enemies” is actually a strategy to “win.” But Jesus did. “It sounds like pacifism, and I believe in the Just War theory.” But I’m not speaking politically. So that argument simply becomes an excuse to not personally follow a direct command of Christ. What the government has to do in order to keep its citizens safe is a great discussion – just not this one. “It doesn’t take into account that there is real evil in this world and that some Muslims are, in fact, engaging in a Jihad of terrorism against the West.” While I agree that some Muslims have and will engage in clear and horrific acts of terror, it doesn’t follow that we should therefore stop loving our enemies. In fact, this may be the best argument for loving them. Could it be that this is our best, and possibly only, weapon against potential future terrorists? Could it be that if they personally experience the love of Jesus from one of His followers, they would not engage in such activity? Very possibly. I am not naïve. Several times my family and I have been the focus of violent actions by those who bear the label “Muslim.” Evil is real, and it has a root – our one and only Enemy with whom we cannot reconcile – the Devil. “‘Love’ doesn’t always work against such people.” If we’re using “love” as a strategy to “get them,” then it won’t work. But if we love our enemies because God does, and if our hearts are soft towards them because we see God weeping over them, the effect is direct and powerful. Love is by far the most powerful and forceful weapon we have at our disposal. It is not wimpy. It’s not naïve. It led to the most violent, non-passive, act in history – the Cross. Love does not roll over and lay down. Love conquers all. Take time to think about who your actual enemies are. It could include an in-law, a physical neighbor, even an enemy of the State – the Bin Laden variety. Then engage that person emotionally and spiritually. In other words, force yourself to think about him or her. Imagine what his or her life is like. Why is he the way he is? Now pray for him. Allow God to begin to place compassion and insight into your heart for that person, and to give you perspective. This is critical if you are going to make it to step two. And, by the way, this first step takes a ton of spiritual maturity on our part. Because, if someone is your enemy, you don’t want to do this. But do it anyway! Begin to ask God for a plan, for a specific strategy for meeting this person and talking to him or her. I didn’t show up at the Hezbollah leader’s office without first taking a lot of time to think, pray and plan how I would do that and what I would say once I was there. If you don’t plan for this, it won’t happen. So make it real. Make it practical. I am currently planning to meet some other high-profile enemies so that I can continue my quest of obeying Jesus in everything. And I pray that I will have the courage and the words to say what God gives me to say when the time comes. Go across the street. Around the world. But you have to go. It’s not rocket science for a reader like you. I’m guessing you’ve traveled before. You’ve been in cross-cultural situations and gone out of your comfort zone. This is simply one step further. You’re now going to meet an actual enemy. Think about it. What’s the worse thing that could happen to you? “I could be killed,” you say. But you’re going to die anyway, so seriously, what’s the worst thing? I think the worst thing is this – you fly halfway around the world to meet “Mr. Bad Guy,” and you show up at his doorstep, and he isn’t there to meet you. In that case, you wander around a bit and come back the next day. If he never shows up, you’ve had a good time of prayer and maybe have made some new, unexpected friends. Not so bad, really! The Hezbollah leader’s reply? “Carl, Carl, Carl. I know this is the way of Jesus, but it won’t work with them. Then we prayed. We gathered around him and prayed. We prayed for wisdom. For courage. For honor. For him to do the right thing, the thing Jesus would do. And, well, who knows? It just might work. Because in this case, the “it” is Jesus! It’s a proud and painful scene to watch, for it’s clear that there will be more wars, and that there will always be young Americans eager to sign up to fight. In three months, these recruits have earned the right to be called Marines. More training will come later. But there is no way, really, to prepare them for the emotional extremes of war: trauma for some, including moral injury, a violation of the sense of right and wrong that leaves a wound on the soul. “You just can’t communicate the knowledge of war to somebody else. It’s something that you know or don’t know, and once you know it you can’t un-know it and you have to deal with that knowledge,” explained Stephen Canty, a thoughtful 24-year-old who went through boot camp here in 2007, before his two combat deployments to Afghanistan. The military’s moral structure is intended to help guide troops through “morally ambiguous situations,” said Marine Col. Daniel J. Haas, who commands the recruit training regiment here. During a gun battle outside Marjah, Afghanistan, in early spring of 2010, a Marine squad of Charlie Company, 1st Battalion 6th Marines (“Charlie One-Six”), was pinned down in a gully, taking intense fire from an adobe compound. Unable to move forward or to retreat, the squad leader OK’d an attack and Lance Cpl. Joseph Schiano, a 22-year-old on his second combat tour, lifted a rocket launcher to his shoulder, took aim and fired. The blast blew apart much of the adobe building. As the dust settled, the Marines could hear shouting and wailing. Their interpreter said, “They want to bring out the wounded.” And as the torn and bleeding bodies were dragged out, it became clear that the Taliban had herded women and children into the building as human shields. But as Canty himself often says, once you know the truth of war, you can’t un-know it. After that tour in Afghanistan, Schiano left the Marine Corps and went home to Connecticut. The war still weighed heavily on him. He couldn’t fit back. Daytimes, he felt he didn’t belong. At night, he had screaming nightmares. One Sunday afternoon several weeks after he returned, Schiano went off the road in his 2003 Volkswagen Jetta and rammed a utility pole. At his funeral in Riverside, Conn., Marines of One-Six carried the casket. He was 23 years old. A friend of mine is a deputy game warden and generally pretty negative about Christianity. He and I have some great talks. He'll admit he likes talking to me but will also admit he doesn't think much of most Christians. At one point he was invited to a talk. A guy that had been a Big Game guide and former game warden was giving a talk at a local church building. There was a free dinner and a talk. My friend went. He was interested in hearing the talk and getting the free meal. He related this to me not long after. He was confused because suddenly the talk about turkeys, deer and bear shifted gears. It had been used as a kind of a bizarre segue to a gospel presentation. My friend was pretty irritated, no longer wanted to be there and felt like he had been tricked. I assured him he had been. For years we theological conservatives have joked about how these goofy 'churches' should just offer free beer. That will certainly get some people to come and visit. Well apparently it's now being tried with guns. This has been going on for some time but this story is helpful because it gives us a little window into that world. This is Finney's system reaching its telos, its ultimate and extreme end. It can't go much further. I hope I don't eat my words. But there's something else going on here too. This isn't just Finney. The United States was birthed in armed revolution, a fight over taxes and tyrannical government. Those who are trying to argue the reasons for 1776 were over religious freedom have been deceived or are lying themselves. The Christians who refused to go along were persecuted and many fled to Canada as Loyalists. I believe a branch of my family was part of this group. They settled in Coburg Canada but by the 1850's had changed their mind and moved to Cook County Illinois which at the time was still rural farm country. Later they went west. Another branch of my family fought in the American Revolution. In fact my GGGGGG-grandfather fought in the French and Indian War and then (when quite a bit older) in the Rebellion of 1776. All of his sons also fought in the war and afterward they moved from the Carolinas down to Georgia and as soon as the Louisiana Purchase opened up they wandered into the Ozarks where they stayed until The Great Depression. I only say this to make it clear that I have family on all sides. The Civil War too. My own heritage would be enough to make some burst with pride, but also (and rightly) a good deal of shame. But I have no loyalties apart from Zion. The Christian Meta-Narrative...the story applied to the history... is that America is a Christian Nation, blessed by God and formed by His Providence. Of course it was Providential, so was the Mongol Empire of Genghis Khan. That doesn't mean it was sanctified. But in the American narrative, God had a 'special' plan for the fledgling United States. The Founders became almost-but-not-quite Saints in a kind of Nationalist religion... which makes sense if you believe the nation was a kind of New Israel. Many nations have done this. England, Scotland, and South Africa are just a few that come to mind. It seems rather silly and sometimes obscene when the narrative is claimed by other nations, but we seem to miss that when we apply it to America. The documents that formed the ideology of the new nation were venerated as almost-but-not-quite inspired by God. Some go all the way and admit they do believe they were inspired. Though it's a grievous heresy it is tolerated by many churches. Basically the notion of armed revolt has been given theological legitimacy. 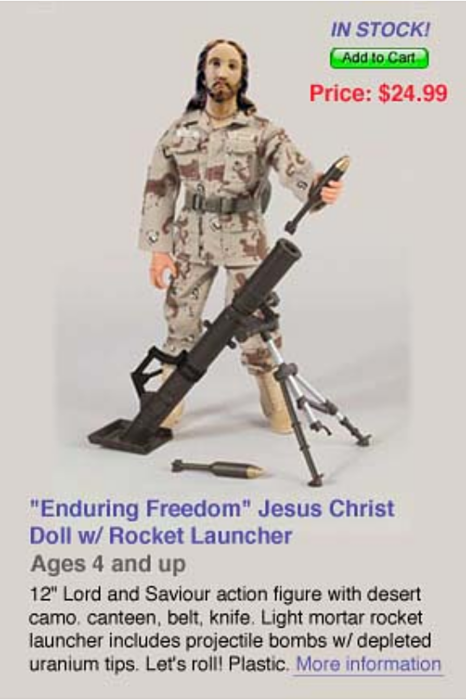 This is critical to understanding the Christian spin on gun culture. The theology is spurious but it is born of the narrative. It is viewed almost in terms similar to that of a holy crusade. During the Clinton years the country was greatly stirred, perhaps even more than the opening years of the Obama administration. I think some people have forgotten how upset people were to see the changing of the guard. The World War II generation had passed and the Boomer president was dancing on the stage to Fleetwood Mac. He was perceived as the marijuana smoking, draft dodging womanizer who came out of the gate trying to allow gays to be in the military and pass legislation leading to socialized medicine. To make it worse he had his feminist wife lead the legislative charge. The Ruby Ridge incident had occurred during the last months of the Bush administration but it was fresh in the minds of many on the Right. Then came Waco, followed by the Brady Bill, then the Assault Weapons Ban. The Militia movement was in high gear. Whether or not Janet Reno is a lesbian she was perceived as such and it seemed to many on the Right that the Cold War had been lost...Communists and the New World Order had taken over. The UN army was coming. Clinton proved the coward in Somalia and people were suspicious of his facilitating the deal between Israel and the PLO. The Anti-Abortion movement was in full swing. Reagan and Bush had failed them and now with Clinton in office abortion doctors started to die. Does anyone remember Paul Hill? Then Oklahoma City happened followed by Eric Rudolph and the Olympic bombing in Atlanta, and then more bombings at abortion clinics. The Montana Freemen prepared for war. To the rest of the world the New World Order meant an American Empire, Neo-Feudalism, theft and murder through Globalization. Wall Street surged as the technological revolution led to rapid growth and speculation, which only empowered the new transnational corporations which were wedded to American power. The Left battled in Seattle but to the Right, Globalization was a plot to undermine America. Their country had been overtaken by minorities, gays, and multi-culturalism. A One World Government and Religion were on the near horizon. Rush Limbaugh went from a star to a super-star. The end of America was predicted, people were buying guns and getting gold. I remember those days very well. 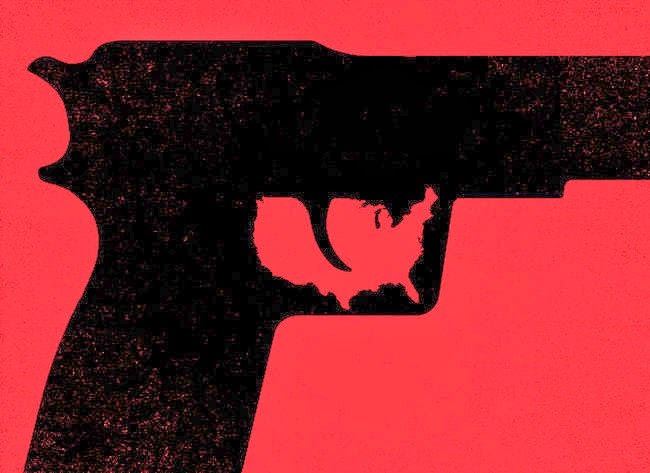 The Second Amendment got a boost and has ever since been an issue that stirs deep passions. During the Bush years the energies were focused elsewhere (the perceived threat of Islamic invasion and sleeper cells) but all those forces which lay dormant from the 1990's were reborn during the summer of 2009. These churches are playing on these fears and emotions. They've used them (sacrilegiously) as a tie-in with the gospel message. They're using them to lure angry people into the church...and for what? The reality is that the American Revolution is not justifiable in light of Scripture. There's no basis for the taking up of arms against George III. He many have been a scoundrel...most kings were. But if Paul could instruct the Church as he did in Romans 13 and call even the horrid government of Nero a 'good'...then what happened in 1776 was sin. Rome used taxes to fund their military conquests and build temples to pagan gods. This was known and yet the Church is instructed to pay the taxes and as much as is possible, obey the laws. We won't embrace their ideas about citizenship. We'll speak the truth even if it upsets them, but we're never told to refuse to pay taxes and there's no basis for armed revolt. Those who advocate these views are in sin. The problem on a basic level is a misunderstanding and/or rejection of the Bible's concept of the Kingdom in this age and our calling as a Church. Of course if I'm right that destroys the whole narrative...the whole religion that has been created. And let me assure you, people are far more passionate about 1776 than they are about Jesus Christ. Insulting the Rebellion will get you physically attacked and much quicker than someone insulting the Church of Christ. Mike Izbicki kicks off Round 4 of Pacifist Fight Club for us. Dr. Thomas Crisp shares how Gandhi may have been the greatest disciple of Jesus in the Twentieth Century. Great turnout for a Saturday morning at 9am. We had 21 fighters join us. We're already gearing up for Round 5 in May or June. Maximilian, the son of a Roman soldier in present-day Algeria, was required to join the army at the age of twenty-one. Before the court of the Roman proconsul Dion, Maximilian testified, “I cannot enlist for I am a Christian. I cannot serve, I cannot do evil.” He was a soldier for Christ which meant he could not fight the wars of man. He insisted that we can die for Christ, but we cannot kill for him. Because of his refusal he was beheaded. “I’ve observed that we in the West—especially Christians—tend to attach great importance to what we believe. We treat beliefs almost as though they have magical power, as though merely believing something makes it so. For instance, many assume that believing Jesus is Lord of their life magically makes him Lord. This is undoubtedly why so many evangelical churches place so much significance on getting people to believe in Jesus and why so much is made of the moment sinners raise their hand or go to the altar to profess their faith in Jesus. This one-time event, it is often assumed, makes Jesus Lord of their life forever. “The truth is, merely believing Jesus is Lord no more makes him Lord of my life than believing Kim Jong-[un] is the leader of North Korea makes me his follower. For Kim Jong-un to be my leader, I would need to submit my life to him and become a citizen of North Korea. So too, for Jesus to be my Lord, I need to submit my life to him and become a citizen of his Kingdom. “Research shows that however emotional people may have been when they raised their hand or responded to the altar call, fewer than 4 percent reflected any change in their lives several years later. “I’m not trying to minimize the importance of beliefs. Obviously, it’s impossible to surrender to Jesus unless you first believe that he is Lord. Still, the belief is not itself the surrender. Embracing a belief is something you do in your mind. Actually surrendering your life is something you can only do with your will. And since the only life you have to surrender is the one you’re living at this present moment, the decision to surrender can only take place right now. “The important question, therefore, is not what you believe. The important question is what you decide to do, moment-by-moment, on the basis of what you believe” (47-48). 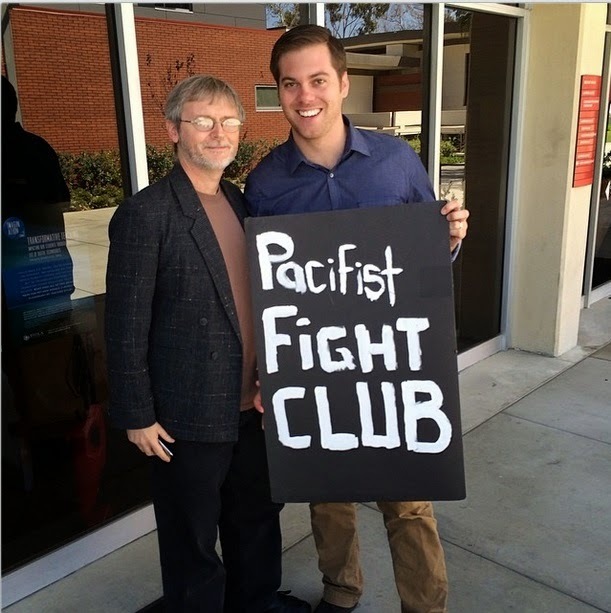 Be sure to join us this Saturday, March 15 at BIOLA in the Mosaic Cultural Center for PACIFIST FIGHT CLUB - ROUND 4. Our Fighters will be Mike Izbicki, former Naval Nuclear Submarine Officer, and Dr. Thomas Crisp, Professor of Philosophy at Biola and founder of the Dorothy Day Society. The gate to Lot A will open at 7am on Saturday morning. No parking pass needed. Please park at the end of Lot A, whose entrance is separate from the main entrance of Biola. The entrance is just north of the main entrance on Biola Ave. Location is the Mosaic Cultural Center, directly across from the new Talbot East building. Look for a glass sign outside of the building. PACIFIST FIGHT CLUB | ROUND 4 - "Proactive Love"
*Mike Izbicki - Former Naval submarine officer who read the Sermon on the Mount and is now a conscientuous objector. *Dr. Thomas Crisp - Co-Founder of PFC and Professor of Philosophy at BIOLA. Come meet Mike Izbicki at Pacifist Fight Club | Round 4 on Saturday, March 15 at BIOLA University. NEW LONDON, Conn. — The question that changed Michael Izbicki’s life appeared on a psychological exam he took not long after graduating in 2008 near the top of his class at theUnited States Naval Academy: If given the order, would he launch a missile carrying a nuclear warhead? Ensign Izbicki said he would not — and his reply set in motion a two-year personal journey and legal battle that ended on Tuesday, when the Navy confirmed that he had been discharged from the service as a conscientious objector. In the process, Mr. Izbicki, 25, went from Navy midshipman in the nuclear submarine fleet here, studying kill ratios, to resident of a small peace community a few blocks from the Thames River, where he prays several times a day, studies Hebrew and helps with the organic garden. He is one of only a few graduates of the nation’s military academies to be granted conscientious objector status in recent years. And while every case is deeply personal, his long struggle for an honorable discharge offers a glimpse of a rarely viewed side of military experience in the post-draft, all-volunteer era: the steep challenge facing any service member — and especially a graduate of a service academy — who signs up as a teenager to become a warrior and then changes his mind in adulthood about his willingness to kill. The Navy fought his request hard, in much the same way that the Army contested the conscientious objector application of Capt. Peter D. Brown, aWest Point graduate and an Iraq war veteran who was discharged in 2007 after a protracted court battle. Academy graduates accounted for only a dozen of the roughly 600 applicants for the special status between 2002 and 2010, spokesmen for the service branches said. Of those requests, fewer than half were approved. And like many of the other academy applicants, according to lawyers who handle such cases, Mr. Izbicki won his discharge only by taking his petition to federal court. The Navy rejected Mr. Izbicki’s application twice, questioning the sincerity of his beliefs despite the support of several Navy chaplains and the testimony of twoYale Divinity School faculty members who said his religious convictions seemed to be mature and sincere. One Navy commander suggested that the pacifist strain of Christianity that Mr. Izbicki embraced was inconsistent with mainstream Christian faith. The same commander likened the Quakers, who supported Mr. Izbicki, to the Rev. Jim Jones and his People’s Temple, a suicide cult. Mr. Izbicki, a National Merit Scholarship finalist in high school, chose the naval academy at Annapolis, Md., over a bevy of colleges, including theCalifornia Institute of Technology, that offered him four-year scholarships, because he felt an obligation to serve his country during wartime, he told investigators in his application for discharge. He grew up attending nondenominational Christian services in San Clemente, Calif., and remained a regular churchgoer during his four years at the academy, where Christianity is the dominant faith. Cadets are required in their junior year to study the “just war” theory, a doctrine justifying military action, based largely on the writings of St. Augustine and St. Thomas Aquinas. It was in that light that he encountered the exam question about launching a nuclear missile in early 2009, shortly after he was assigned to submariner school at the Nuclear Power Training Command in Charleston, S.C. Seeing the question spelled out like that, he said, made it impossible to hide his emerging pacifism any longer. “I realized that I could not be responsible for killing anyone,” he later explained. His answer flagged him for psychological testing, and a consultation with a Navy chaplain, who was the first to suggest that Mr. Izbicki consider applying for discharge as a conscientious objector. What does Christian Nonviolence and Pacifism have to do with Gender Equality? Whoever has the gold makes the rules. This world seems to operate on a certain set of principles. Typically, these principles imply and enforce a top-down power structure that keeps a few in control of the rest. Mythology and religious lore (and their interpreted texts) are likewise propagated by those on top and in power of cultures, communities—and their respected microcosms—creating a divine rite: baptising these structures as sacred, and thus, unarguable. And when there was an argument, ultimate decisions were (and still are) often decided through military might. “Pattern of men using violence to gain and preserve power, whether political, military, economic, or sexual [...] It’s the law of the jungle that says, ‘If you threaten anything I control, I will persecute you. I will hurt you. And even kill you if I have to” (40). Silk seems wise in his word choice here. The patriarchal paradigm is really about control, isn’t it? Not love. Not ownership or possession. But control. Throughout the ages, women have not been in control. Sure, there are some isolated examples, or the old adage about necks controlling heads, but by and large, this women have not been calling the shots. This traces back to the Fall. As God predicts, the result of sin is Man ruling over Woman. Sometimes, this gets physical. 1.3 million women are victims of physical assault by an intimate partner each year, as estimated by the National Coalition Against Domestic Violence. Additionally, domestic violence is the third leading cause of homelessness among families (SafeHaven.org). Something stinks in the lake water we’re all floatin' in. When we begin to look at statistics like these, it’s not enough to think there are a few rotten-fish husbands. What questions should be asked of the paradigms handed to and held by men to permit this behavior? And is physical harm the only “violence” done to women? It seems that the administrative board of the Institute for Basic Life Principles have chosen to place their founder—conservative Christian leader, outspoken advocate of family values, and homeschooling tycoon, Bill Gothard—on leave, “while the board investigates claims that he years ago engaged in sexual harassment and other misconduct.” That investigation of misconduct comes after the public critique and testimony of over 30 women alleging that Gothard had harassed them while they worked in his ministry. What paradigms are in play to allow a man who devotes his life to upholding family values and conservative morality to be, in his words, “physically and emotionally defrauding his personal secretary”? This is a man who lived out his faith convictions in seemingly and by all appearances every other area in his life. On the one hand, it may be easy for those of us watching from the outside to toss out or dismiss all of his Christian credibility. On the other, it’d be easy to simply look at this as one moral failure, to be excused by “grace.” A more difficult path would be to examine what perspectives lead far too many here. In San Diego, William Lansdowne, the city’s police chief of over 10 years, stepped down this week during controversy over a number of sexual abuse cases involving officers in his charge. All of this occurred on the same day former San Diego mayor plead guilty to the sexual abuse accusations for which he left office. Could it be that a paradigm of control permits men to perceive women—and their bodies—as entities over which their control extends? Could it be that the measure of masculinity, lived out this way, is the extent to which one might exert this control over others? Making this out to be, simply, a “man problem” might be too narrowly defined, as San Diego is also discovering. This isn’t a matter of men, but of the paradigms that persist to communicate "Control Equals Power—and might makes right." Further, I fear that some Christians have baptized their theology on the shores of this pagan patriarchal paradigm. So, I humbly suggest that this is the lake we begin to examine a little closer. Over the next few posts in this series, I’ll do just that. So let me ask: what questions or insight do you have regarding nonviolence and gender equality? Is this a “fish” problem, or a “lake” problem? How have you seen the patriarchal paradigm affect the world around you? Round 3- "The Least of These" was held on Saturday, September 15, 2012, 9:00 am to 2pm, Biola University. Watch Video Presentations on this website at the links above.